The Fermat’s Last Theorem is one of the hardest problems in the history of mathematics. 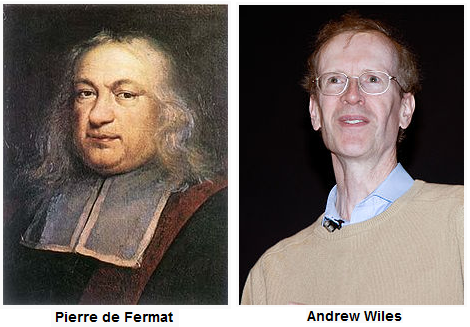 The problem was written by Pierre de Fermat in 1637, and it was only solved more than 300 years later — in 1995 by Professor Andrew Wiles. But what is exactly the Fermat’s Last Theorem? The Fermat’s Last Theorem is an extension of the Pythagorean Theorem. Recall that the Pythagorean Theorem states that given a right triangle whose side lengths are and hypotenuse , is satisfied. For example, a right triangle with side lengths , and has hypotenuse .